About a year has passed since we’ve lost our dear friend and colleague William “Bill” Gregory, our past Vice President of Operations. Bill passed away in the spring of 2017 after a short battle with cancer. At Millers Mutual, Bill led the team that handles quality control, policy administration and production, pricing and regulatory compliance. Bill was an extremely important part of our successful transition from a main street carrier to a focused-niche company. He was the behind-the-scenes engine of that transformation . We will remember Bill for the reasons above but most importantly, for the wonderful person that he was. He always saw beauty in the world around him, how he could relate to anyone inside or outside of the organization, how he led his team with care and compassion coupled with high expectations, how he could provide insight and clarity on the most complex challenges facing our organization, and how he could make us laugh with an unintended change in his body language or facial expression when he did not agree with a point being made. A poker player Bill was certainly not. It was that window into Bill’s soul that we miss the most. That openness and passion was the essence of Bill. 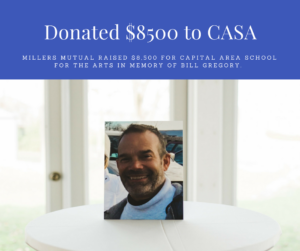 Bill has had a profound effect on our organization, and so, we felt it appropriate to celebrate his life and honor his legacy by hosting a fundraising event on April 14, 2018, in support of Capital Area School for the Arts. Bill was passionate about CASA as he served as a board member for many years. Many of our employees, Bill’s friends and family members, and CASA board members attended the event which featured student performances from CASA, dinner, drinks, dancing and a raffle to raise money for the school. 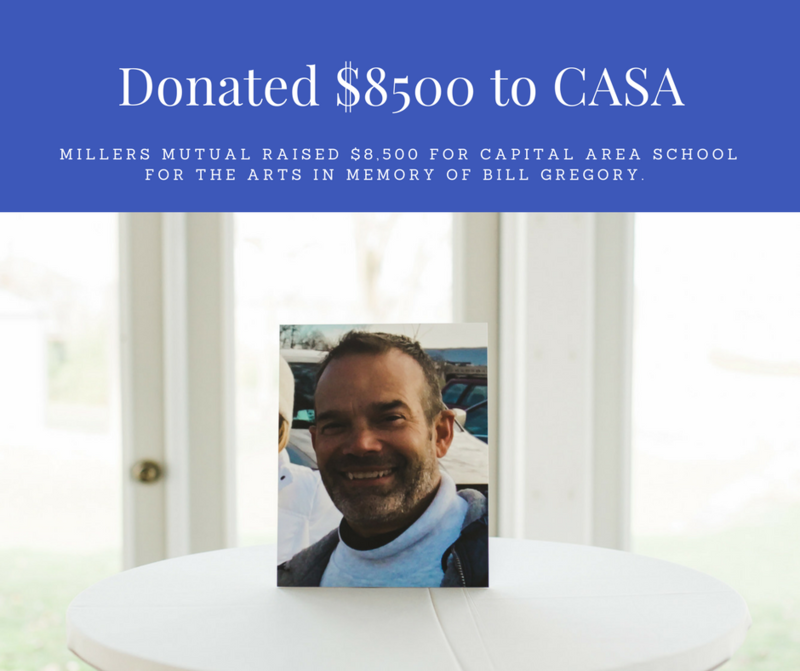 At the end of the evening, we raised $8,500 to be donated to Capital Area School for the Arts, in honor and memory of William “Bill” Gregory.